This is not a typical post from me. I like to give insights and tips on how to get the best of certain situations. But I think it’s also important that I tell you about me, the person behind the brand and the articles. Because we’re all human and I didn’t magically become a Kinesiologist. I’ve invested money, time and emotions into my expertise. Hours and hours (and HOURS) of practical, online exams and theory and the learning hasn’t stopped there. It’s a big thing to take on study in Kinesiology. The techniques we learn are all practiced in class so we invariably get to work through some of our own issues as we learn, with every single technique. This last weekend was my last class in my Post-Graduate Diploma in Kinesiopractic. Over the last four years, I’ve learnt a lot about human behaviour, about myself and about the power that our emotions can have over us emotionally, mentally, spiritually and physically. I have also learnt that there’s a bottomless pit of issues to work through. Just when you think you’ve got something sorted, we look at it from another angle or something happens (life) that triggers these concerns again. What I have also learnt over the last four years is that you never stop learning and that it’s incredibly important to have all the right people around you for support. So I have my beautiful man to thank who has helped, pushed and paved the way for me and my dream. He didn’t have to, but he has chosen to support me in manifesting my dream on so many levels and I am so very grateful for the sacrifices he’s made in order to see me succeed. I have many friends and family who have supported me through being my case study subjects, coming in for balances and referring many clients (my mum happens to be one of my best referrers). Thankyou. I have the faculty and staff at the college (Kinesiology Connection) where I studied to thank for their generosity of knowledge and time, who chose to impart their expertise in a way that suits all of our learning styles. I believe that each of the faculty has something unique to bring to the table (pun intended) that we as students could pick up and blend with our own style. I know I certainly have. And most of all, I have all of my beautiful friends and fellow students who have supported me through my shyness, my tears and who just “get me”. I love that each month, there was a pool of knowledge, of support, of like minded people and love that was waiting, unconditionally at the next instalment of our course and knowing that there was always a good laugh to be had. While my Kinesiology journey is by no means complete (I have a few further study ideas up my sleeve), It’s nice to have this chapter closing for it means that on some levels, I am no longer wearing my “student” hat, but am purely wearing my Practitioner hat which is so exciting after four years of study. Studying kinesiology is a highly personal journey. What you work through from your past, present and future with your fellow students can be (and is) life changing. But then, that’s why I started this journey, to help people change their lives. I just had to change mine first. 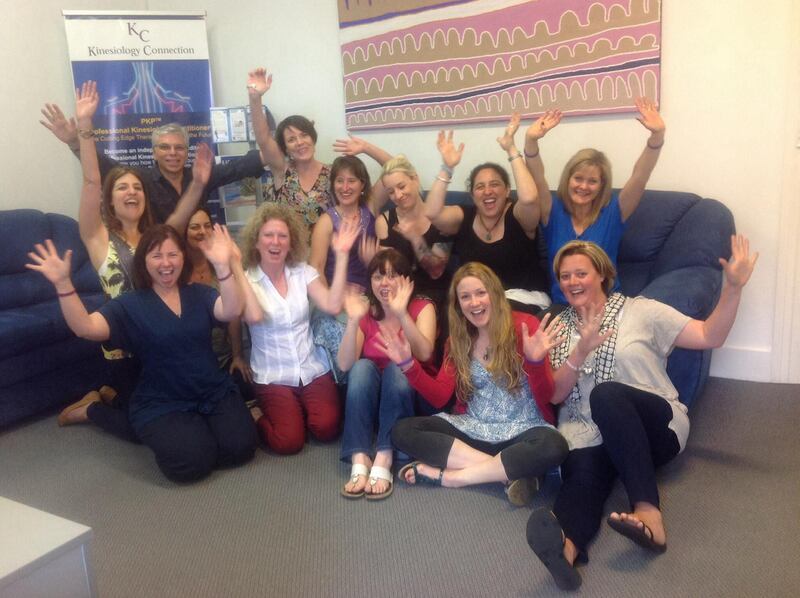 This is my Kinesi crew and two of the faculty at the end of our very last day, what a journey!